We wish you a nice shiny new year 2017! 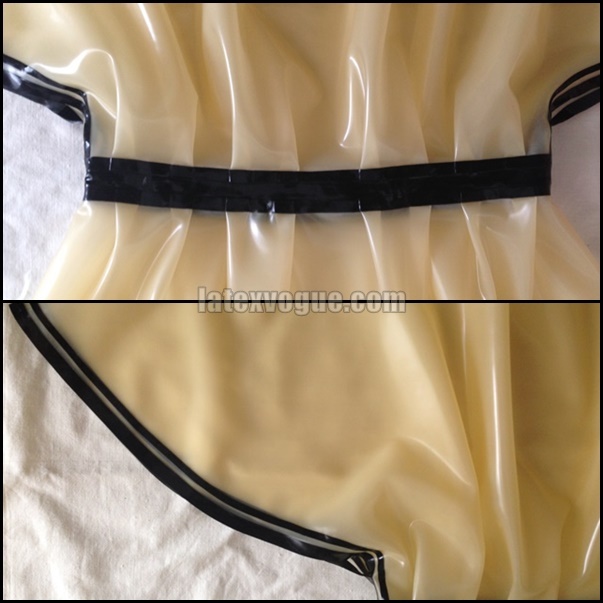 Today, we show you our transparent latex dress with loose bat-sleeves. Thanks loose pattern is cool to wear like a latex nightdress too, comfort feel of latex.